Allo Vs iMessage: Clash of the Titans! After Apple’s iMessage gets a big overhaul with iOS 10, it is now Google, which releases a new app called Allo to compete with other apps in the messaging space. With the features released by both giants, we can see that messaging apps are becoming smarter with artificial intelligence and with awareness of context and user’s surroundings. Made popular by Slack and Telegram, ‘intelligent’ chatbots are now being used on a bigger scale after Skype and Apple announced support for them. Allo has Google Assistant leveraging this trend. Users are also welcoming the idea of a richer chatting experience and that of virtual bots serving them with time, location and context relevant information. 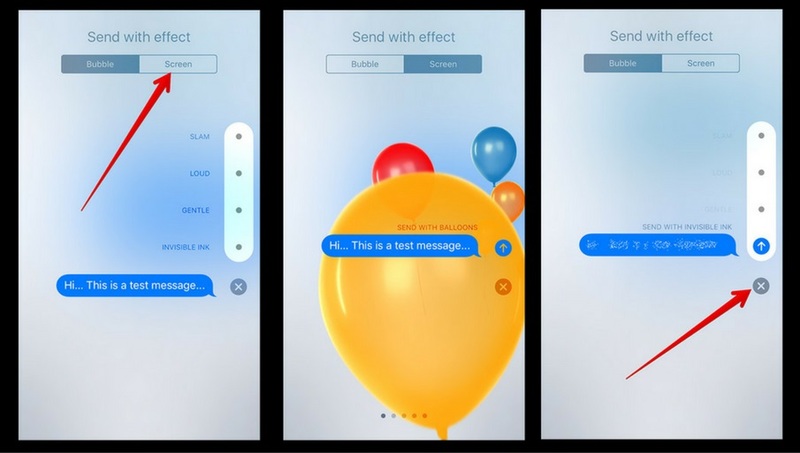 Apple has already opened up the iMessage platform for app developers while Google has announced the same to be made available in near future. For brands, this means big opportunity for deep integration and becoming a part of the user’s online experience. 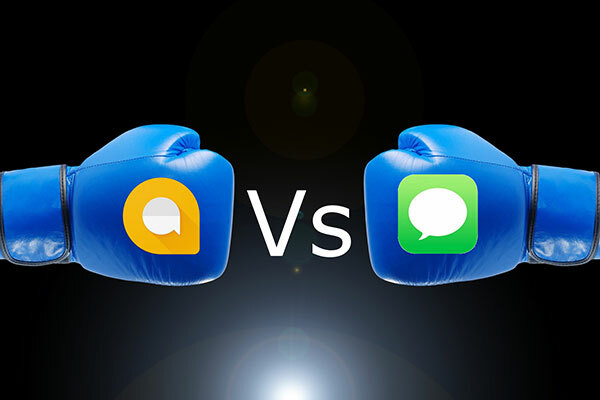 In this blog, we compare Apple’s iMessage and Google’s Allo to explore the features and opportunities for app developers, startups and brands that are looking to leverage these platforms to extend their offerings. Allo has whisper and shout feature, which lets users increase or decrease the size of text or emoji to be more expressive. iMessage in iOS 10 has taken it farther by adding 4 types of animations associated with the size of the text bubble. The 4 bubble styles of iMessage are named as invisible ink, gentle, loud and slam. Invisible ink effect creates a pixelated bubble that can be viewed by the recipient by swiping across the bubble. Gentle effect makes the text grow from a very small size to the regular size. Loud effect creates a big text that shakes a little, and shrinks to the regular size. Slam effect slams the message board leaving a little dust that goes up the screen. iMessage, launched in 2011, has 1650 apps in the iMessage App Store. Allo, being new, doesn’t have any third party apps as of now, but Google has announced to release a developer platform in early December this year (2016) that can be used by developers to integrate their apps into the Google Assistant. However, Allo’s personal assistant can still do some basic things mentioned below without requiring any third-party apps. What can Google Assistant do? Users can chat with Google Assistant one-on-one or type @google followed by a question. The assistant then provides answers or suggestions. It provides information like news, weather, sports, maps, traffic and flight status. It also helps in planning an outing with information like nearby hotels, movie times etc. Along with this, Google Assistant provides some fun things like quiz game, jokes, facts etc. Apps of iMessage do a lot more than just being a source of information. There are apps that let a user book a restaurant, pay money etc without leaving iMessage. iMessage also lets users play one-on-one board games like Checkmate, Tic Tac Toe and Guess the word. Popular apps like Yelp, Evernote, Airbnb and IMDB have also released their extensions for iMessage. iMessage chats are end-to-end encrypted by default, which makes it more secure when compared to Allo. The Google Assistant feature of Allo sends all messages over the Google’s server to learn the user’s likes and responses over time in order to provide better recommendations. All the messages are encrypted using technologies like Transport Layer Security(TLS), but are not end-to-end encrypted. Allo, however has an incognito mode, which provides more security by end-to-end encryption of messages. This means, only the sender and receiver will be able to read the messages. Neither ‘Google Assistant’ nor ‘smart reply’ feature will be present in incognito mode, and an auto-delete feature would delete the messages after a certain period of time. ‘Actions’ on Google is a platform for developers to integrate their apps with Google Assistant. The platform will be available from early December this year (2016). Google Assistant makes use of Google Awareness API to detect and react to the user’s current situation such as location, user activity etc. Apple has released iMessage extension in Xcode 8, which can be used to build standalone as well as extension apps for iMessage. Allo is a new entrant, and its user base is very small when compared to that of iMessage. On the other hand, iMessage has been the default messaging app for iphone users, which makes it a huge market to tap for app developers, startups and brands. iMessage apps like YOOX and Zappos have introduced the concept of shopping with friends and family within iMessage. 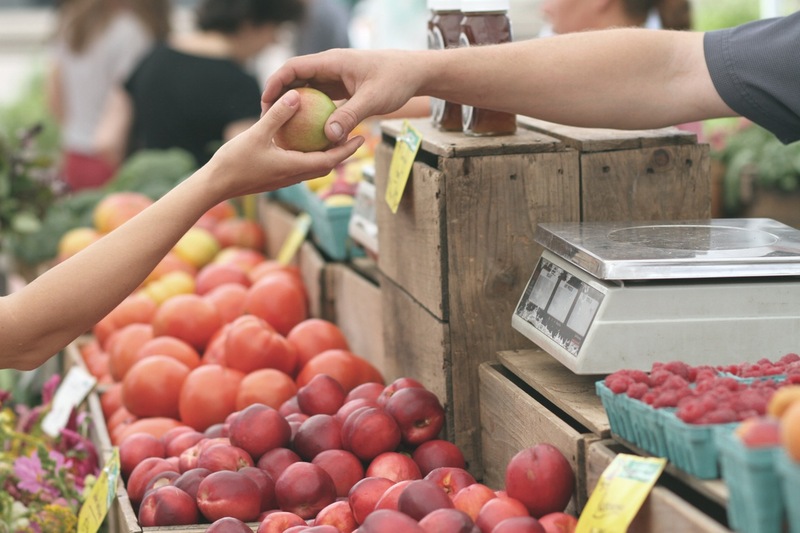 Apps like Velocity and OpenTable allow users to book a restaurant, Square Cash allows paying friends through messages, and DoorDash allows users to order food together. The world of smartphone is mostly divided into Android and iOS users, and this creates equal opportunities for both Allo and iMessage. Allo, even with its cross platform availability, may not attract iOS users to migrate from iMessage to Allo, but it will surely win over the Android users. Both, Google and Apple have a lot in their pipeline to make their apps smarter, friendlier and more useful. But for now, iMessage is ahead of the game with its rich features and large number of third party apps in comparison to Allo.